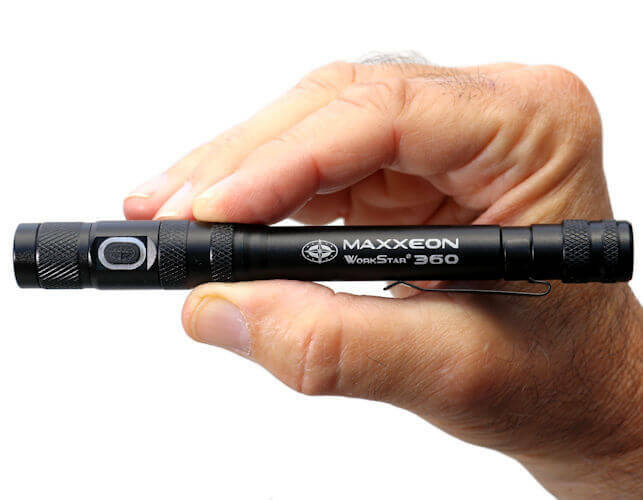 The MAXXEON WorkStar® 360 is a professional, USB rechargeable LED penlight/inspection light that produces 260 lumens, features a 3X zoom lens, runs for 40 minutes and is competitively priced. 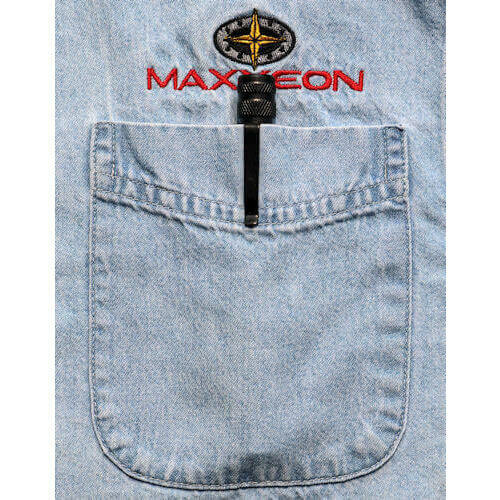 The MAXXEON WorkStar® 360 fits nicely in your hand, but it also fits perfectly in your pocket - a true everyday carry rechargeable penlight! 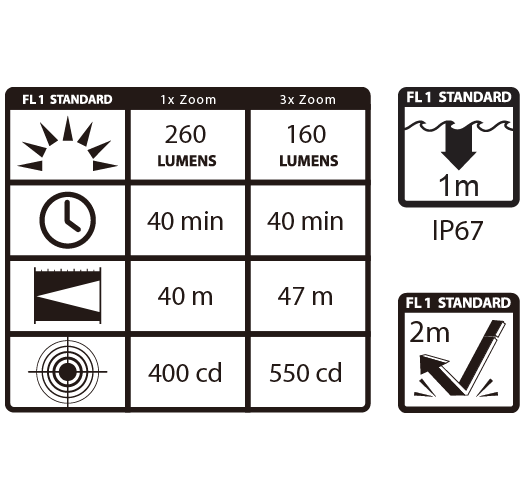 LED penlights and LED inspection penlights generally have weak and/or narrow beams. Not the 360! The super powerful 260 lm beam is controlled by a 3X zoom lens which offers a bigger and brighter beam to illuminate your work, plus the flexibility to narrow the beam width for distance or tight spaces. The side mounted On/Off switch is located right under your thumb for ease of operation. Forget alkaline batteries! The Li-Po WorkStar® 360 rechargeable inspection light will pay for itself in battery savings. 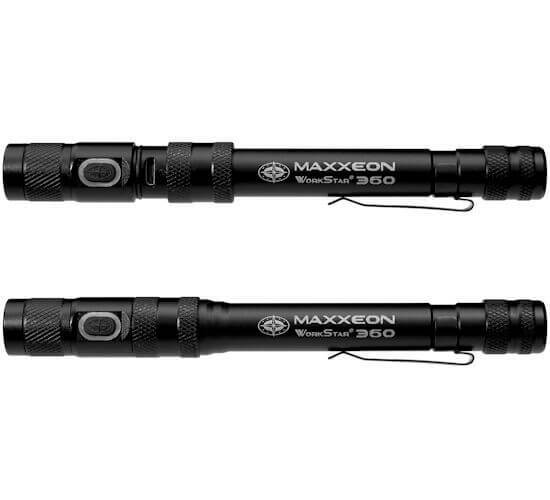 With an output of 260 lm and a run time of 40 minutes continuous operation, the MAXXEON WorkStar® 360 is brighter and longer lasting than ordinary LED penlights. Just as important is the size of the beam. The 360's beam is much wider than competing LED inspection lights, without any hot spots or shadows. 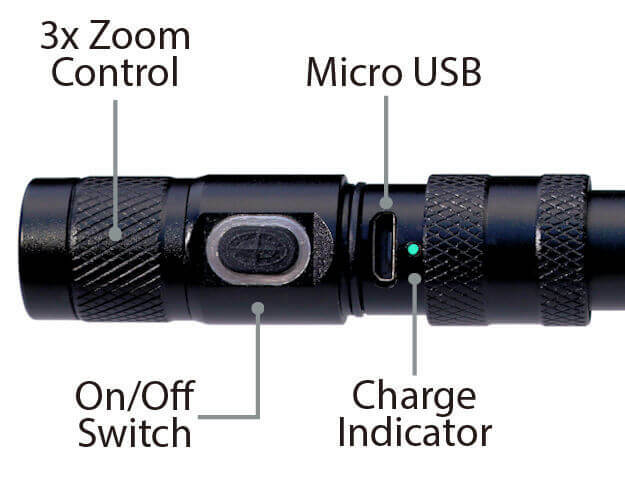 In addition, the 360 penlight has a 3X zoom lens, so you can adjust the beam width to suit the situation. It uses rechargeable Lithium Polymer (Li Po) batteries which are charged via a micro USB jack hidden under a sliding sleeve. The recharge time is about 2.5 hr and is monitored by a red/green indicator LED near the USB jack. 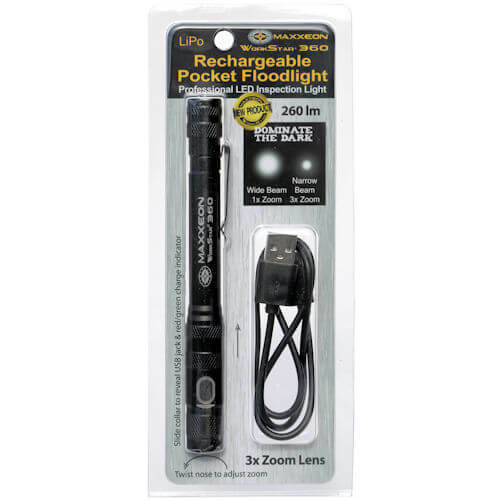 The rugged WorkStar® 360 professional, USB rechargeable LED penlight/inspection light is designed for daily use by technicians in demanding shop, manufacturing and maintenance environments. The tough aluminum body is anodized black and is virtually indestructible. All threaded joints have rubber O-ring seals so it is IP67, dust tight & waterproof to 3 ft. The rugged nose mounted switch is rated at 100,000 cycles and is sealed to avoid contamination by dirt and grit. Today, most professional tools are rechargeable — the WorkStar® 360 is no exception. Utilizing a 3.7V, 570mAh, 2.1Wh Lithium Polymer cell and recharged by a micro USB jack, the 360 is ready to be put to work.